This week I want to talk about Out of the Blue by Sophie Cameron. I’m SO EXCITED to read this. It sounds like it’s a contemporary with a bit of fantasy thrown in (it has angels!). So possibly magical realism? Which happens to be one of my all-time favorite genres. The cover of this book is stunning and I really just think this will be a beautiful read. Synopsis: Sometimes, I imagine alternate endings to the story: last-minute miracles, touches of magic. I picture how things might have gone, if I wasn’t there. If I’d left just a few minutes later. If I hadn’t been alone. It doesn’t make any difference. One way or another, the crash always comes. 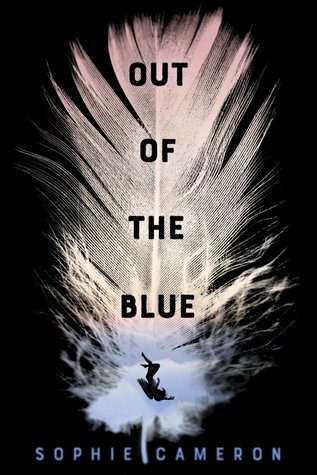 Are you excited to read Out of the Blue? I was lucky enough to snag an ARC of this book, so watch for a review soon!